Shipping is between $14.00 - $20.00 for most areas. Please call for shipping rate. You will be invoiced separate for shipping. Thank you. Custom Metal A-Frame Stand ( Tent Style). 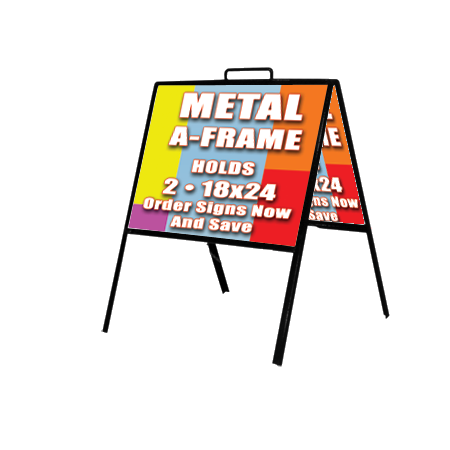 These can come with optional Full Color aluminum signs on both sides for a cheap price. This A-Frame stand is easily portable due to its light weight and built in carry handle. 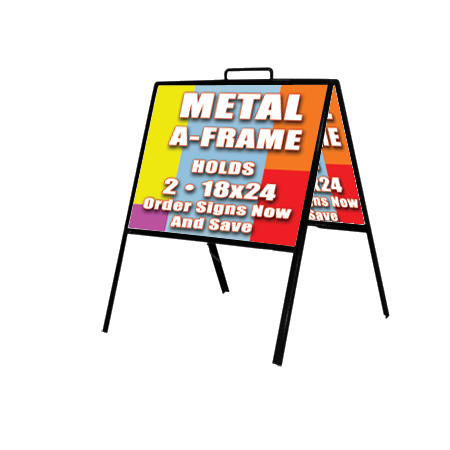 This comes with a special price on 2 Aluminum 18×24 signs if you order them with stand.